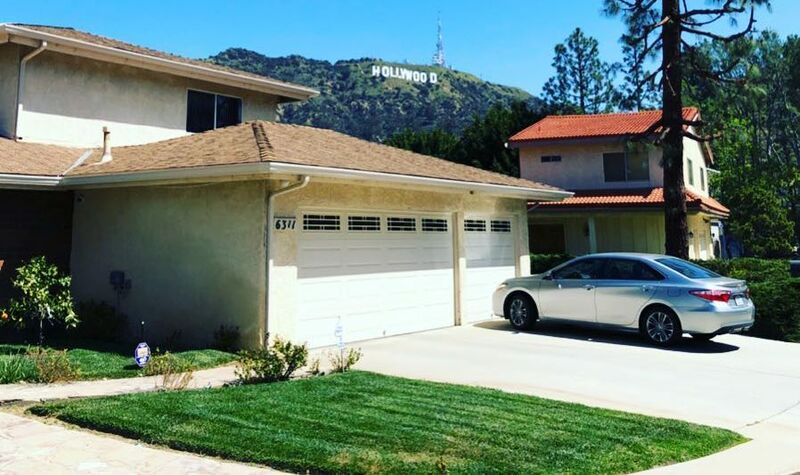 Driveway Cleaning - Maintenance LA Homeowners Often Overlook - L.A. Elite Window Cleaning, Inc.
You frequently walk on it, drive on it, the elements bombard it, and allow your vehicles to sit stagnant on it; your driveway is the collector of almost endless filth and grime. Sweeping and hosing it off occasionally may help to remove the loose dirt and debris; however, oils and dirt eventually collect, creating a sticky layer of grime, which is especially prevalent on concrete. Not only does this decrease the curb appeal of your home, but it harms the life of your driveway as well. This post will cover three reasons you should pressure wash your driveway and when you should be taking care of this maintenance. As a bonus we also added a how-to video for those who want to take care of this themselves. Home exteriors are the first thing seen by guests, people passing by, and potential buyers. We are just going to a let before and after picture speak for itself for this section. As you can see the difference is night and day. A reasonable person would also assume if a homeowner would let something so visible become so filthy, that the things not seen must be a disaster. Don’t be that guy. 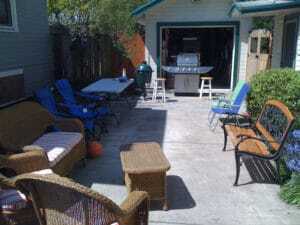 Whether it be children playing some type of games on it or you throwing a party and adding seating area to it a clean driveway area makes this space much more hospitable. There are two important life extensions to look at. First, oil and dirt as described above can actually corrode the finish if not removed. 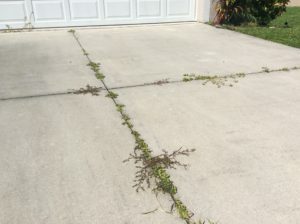 Secondly, pressure washing also prevents the growth of weeds through cracks. These cracks can eventually grow, which can potentially lead to costly repairs. Given the climate here in Southern California we would suggest making pressure washing a part of your annual Spring Cleaning efforts. We at L.A. Elite Window Cleaning would be happy to take care of this for you, but for those DIY readers we have attached a video below. Thank you for taking the time to read our post and be sure to share it if you found this information helpful. Be sure to check out our similar posts on – top reasons to clean solar panels and top 3 reasons to pressure wash your home.